A brand represents not only the relationship an organization has with its customers but also with its employees. The existence of incongruences in employee behavior during service transactions can disrupt the successful delivery of brand experiences (Clemes et al. 2000) and signal the need for proper alignment of frontline employee (FLE) behavior with brand values. One such incongruence was recently identified by Du Preez et al. (2017) when studying behavioral consequences of internal brand management among FLEs. 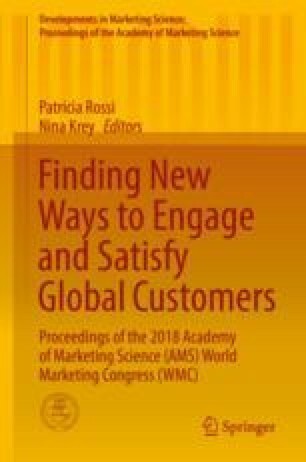 The authors posited the existence of different operational worlds within the same organization that can cause different interpretations of brand-oriented behaviors. As a result, the two forms of brand-oriented behavior, in-role brand behavior (IRBB) and extra-role brand behavior (ERBB), cannot be successfully aligned with the organization’s vision. This might occur due to the increase in importance attributed to the employee branding role, causing managers to mistakenly embed ERBB in job descriptions without fully understanding them and treating ERBBs as IRBBs and confusing FLEs. We used the Delphi study method to research three different service organizations that agreed to participate in this study: a health services organization, an outsource call center, and a department store chain. Per Delbecq et al. (1975), a three-step strategy was adopted to explore the proposed research question. Our results showed that managerial and FLE’s perception of IRBBs was very similar. Nevertheless, while managers displayed a reasonable level of agreement with the classification of ERBBs, FLEs disagreed with the classification of practically all extra-role items. While the vast majority of in-role behaviors were correctly characterized, extra-role behavior still came across as a gray area for the participants indicating that managers and FLEs of retail organizations cannot differentiate one behavior from the other. The results indicate a need to coordinate marketing and HR activities to proper align employees’ behaviors with the values of the brand. A clear differentiation of the two types of behaviors would play an important role to decrease FLE role ambiguity and affect FLEs’ role clarity, job performance, and ultimately the customer experience.